helping to clean up the Sudbury Basin, as well as mining communities across Canada. Green Lights Environmental Solution is the exclusive provider for the disposal of Zacon's (MWD) Mine Warning Device (Stench Gas) canisters for Sudbury-VALE and mines across Canada. 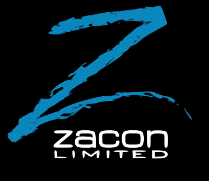 Green Lights is endorsed by Zacon Limited as the preferred company to dispose of their Mine Fire Warning Device (Stench Gas). Currently in 2016 Green Lights remains the only Disposal company that Zacon endorses for disposal of Stench Gas.